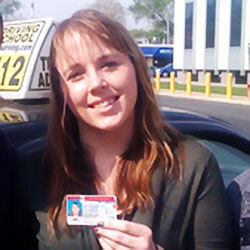 Since 2003 Nova Driving School has helped over 8,000 students achieve their goal of getting their license. In addition to our outstanding reputation, Nova Driving School is the only Illinois Driving School certified by the “National Safety Council”. We have 2 convenient locations to serve our students. We offer home pick up and drop off, transportation to the DMV and provide our students with multiple vehicle options to fit their style. Most of our employees are multilingual to best cater to our customers' needs. Our staff and instructors are truly the best in Chicago. Change your life, Learn to drive in 4 lessons**. Contact Nova today or register for one of our classes online. Our unique approach to teaching, one-of-a-kind teaching techniques, and efficient program structures make Nova an excellent choice for new and/or nervous drivers. We are a family owned business serving the Chicagoland area since 2003. 95% of our students pass the test on their first attempt and after only 4 lessons. Our mission is to facilitate the acquisition of knowledge and skills for SAFE DRIVING and OBTAINING A DRIVER’s LICENSE. 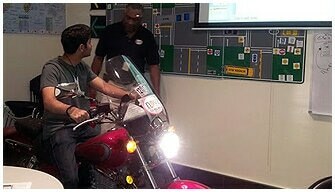 Our Mission is to teach safe driving to our students while making the process fun, easy and interactive. We make it easy and fast for you. Getting your license and achieving your independence could be a long and difficult path. We make it easy and fast for you. Our driving instructors and our unique methodology transform the complex to the simple and provide you the best possible training. Our behind-the-wheel driving lessons give you the skills necessary to operate a vehicle with confidence. Nova is one of the few National Safety Council Training Centers in Illinois. We offer a range of defensive driving courses and programs. Contact us today to learn more. Adult and teen students from across Chicago and nearby suburbs turn to Nova's expertise when they embark on the path to earning an Illinois driver's license. Start today on the path to becoming an independent driver using the easiest and fastest methods! 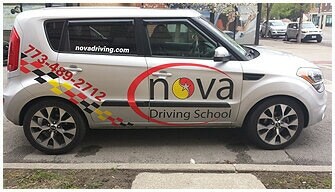 Learn to drive with Nova! We can provide pickup and drop offs for student's in our coverage area as well as providing transportation to the secretary of state. We also have trained professionals who have expertise in teaching students with reading or writing challenges so they can take the test orally. We have English and Spanish speaking instructors on staff for multi-language instruction.